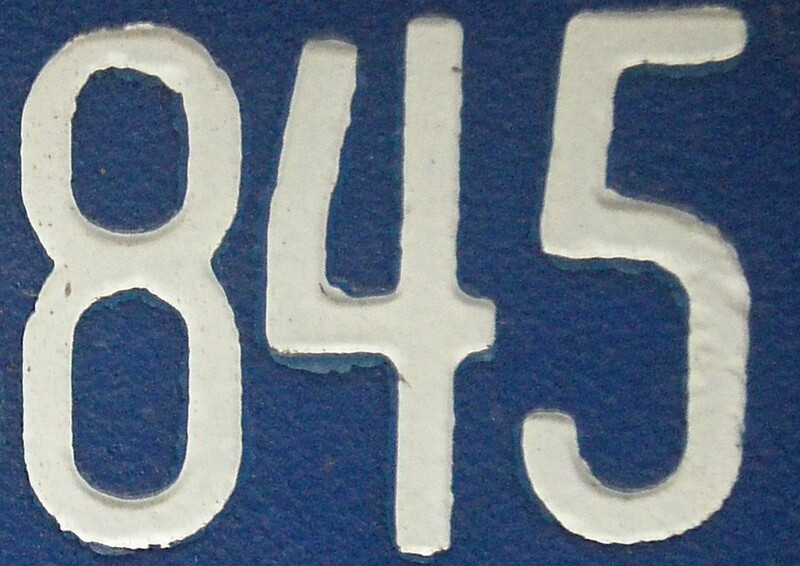 845 = 5 x 132. 845 is 1101001101 in base 2 (binary) and 31031 in base 4; it is 1515 in base 8 and 500 in base 13. 845 has three representations as a sum of two squares: 845 = 22 + 292 = 132 + 262 = 192 + 222. 845 is the hypotenuse of two primitive Pythagorean triples: 8452 = 1162 + 8372 = 1232 + 8362. 845 is a number n for which 8n + 1 and 8n + 3 are twin primes: 8 x 845 + 1 = 6761 and 8 x 845 + 3 = 6763. 845 Naema is an asteroid discovered in 1916.